In order to properly treat periodontal disease, deep cleanings are an important part of keeping your gums healthy. When you go to the dentist for your routine cleaning, your hygienist will use a dental tool to scrape away plaque. In the event plaque buildup advances to more severe stages, it can begin to attack below the gums. Only a deep cleaning performed by your dentist can remove the bacteria from beneath the gum line. Deep cleanings, also called “scaling and root planing,” consists of two parts. Scaling cleans under the gums and the pockets of your gum tissue to remove the tartar. The second part of this procedure, root planing, smoothes out the roots. The deep cleaning process generally takes 2-4 visits to complete depending on how severe the build-up is. 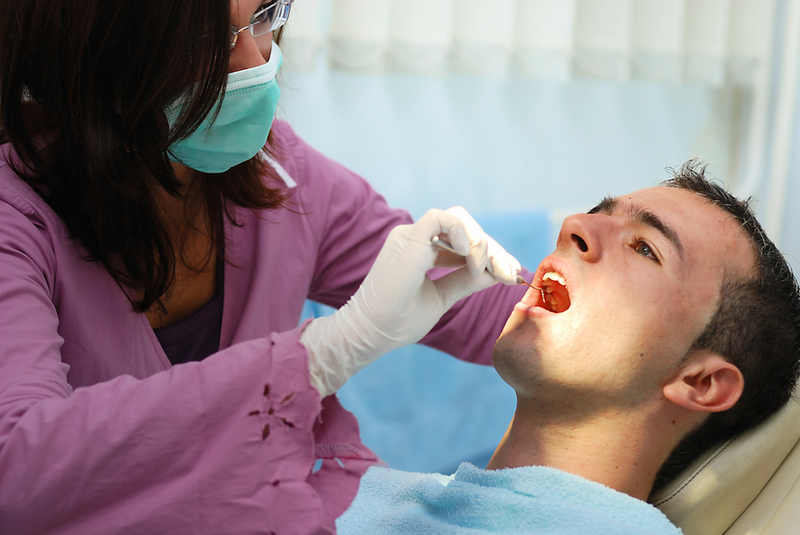 Gum disease is not always 100% curable, but it is treatable. Once you have completed your first deep cleaning, regular visits to the dentist will be necessary in order to keep your gums in good shape. The dentist will teach you proper at-home dental hygiene and other ways you should care for your gums. To learn some simple ways to keep your mouth healthy, click here. If you have not been to the dentist lately and are concerned that your gums may not be healthy, be sure to schedule an appointment with Dr. Van Treese to examine your gums and teeth and make sure that any issues are taken care of.